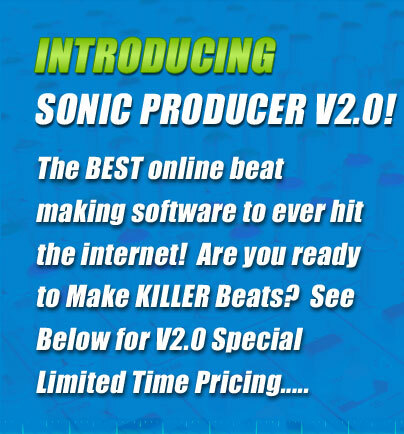 Watch me make a KILLER Beat in 5 Minutes with Sonic Producer V2.0! This is a video Professional Studios who charge THOUSANDS do NOT want you to see! 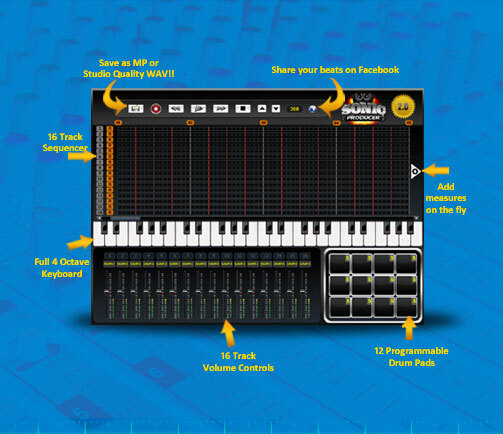 By far the EASIEST, most advanced Beat Maker software EVER DEVELOPED! Don’t know how to read music? NO PROBLEM!! Never composed a beat before? Yup, we’ve got you COVERED! Are you a professional musician? 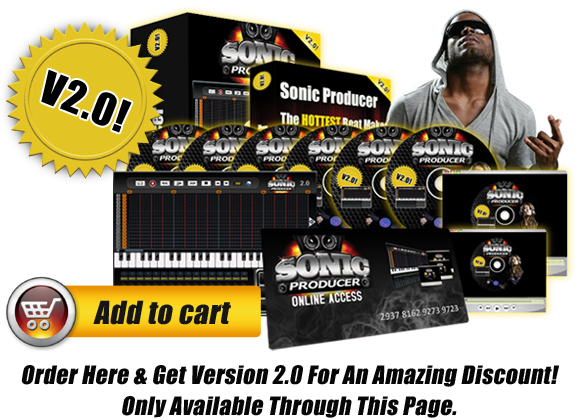 You NEED Sonic Producer V2.0! 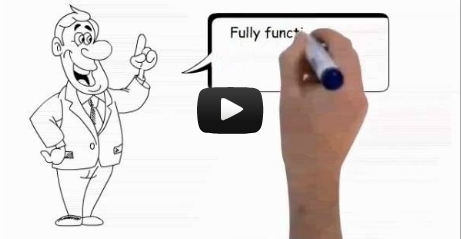 We designed an EASY to use CLICK N’ DRAG environment that is GUARANTEED to be SUPER USER-FRIENDLY!! 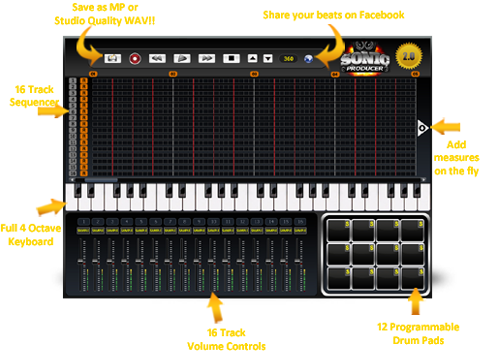 Sonic Producer V2.0 REVOLUTIONIZES Keyboard Shortcuts to make MASTERING the 4 Octave Keyboard a BREEZE!! Enter our MONTHLY BEAT CONTEST and win some COLD HARD CASH!!! That’s right, each and every month we hand out a COOL HUNDRED BUCKS to one lucky WINNER. Enter every month!! We will show you STEP by STEP how to SELL YOUR BEATS and market yourself so you can make SERIOUS Money! 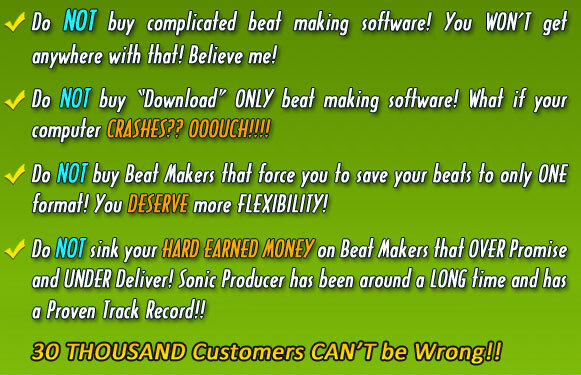 Just THINK....if you WIN ONLY ONE TIME.....It's like getting Sonic Producer FOR FREE, PLUS like $60 PROFIT!! WOW! Download your Beats as MP3 or High Def Studio Quality 44.1K WAV FILE!! Add Measures on the FLY! 16 Channel FULLY Functional Mixer! Upload your Beats directly to Facebook! THOUSANDS AND THOUSANDS OF SOUNDS to choose from! 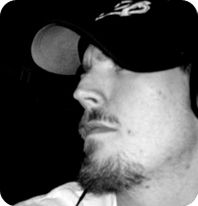 OWN EXCLUSIVE Rights to YOUR Beats! Do what YOU want with them! 100% Royalty FREE! Use our FAMOUS “Save Online” Feature and finish your Beat LATER! This is a REAL testimonial from a REAL customer. He was not paid or given anything for free for exchange for this testimonial. This is a REAL and GENUINE experience. Proof is on file with the site administrator and ready to show any FTC Official. OK! It’s obvious that Sonic Producer V2.0 SHOULD be selling for ATLEAST $399! My accountant literally fainted when I told him I’ve decided to practically GIVE IT AWAY for only $34.99!! 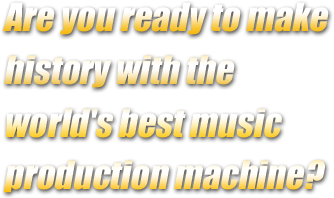 You’ll get your very own personal MUSIC PRODUCTION MACHINE with all the bells, Whistles and cutting edge performance you’ll find in a professional studio…OPEN 24/7 for you to be pounding out beat after beat! CRAZY!! You’ll OWN all the music you PRODUCE! 100% ROYALTY FREE! Do what you want with them! Others charge you for Exclusive Rights to your Music! We throw it in for FREE!! Our 24/7 Customer Support Team is here to help you with ANYTHING you need! Others charge more for this dedicated level of service…We throw it in for FREE! 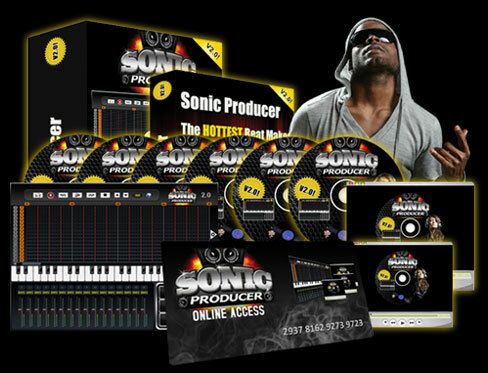 We offer NO Recurring costs to access Sonic Producer V2.0! NO Gimmicks! NO Games! NO Bait n’ Switch! You’ll GET IT ALL!! You’ll have access to an exclusive Members area that’s JAM PACKED with everything you need! We include an industry leading 60 DAY MONEY BACK SATISFACTION GUARANTEE! 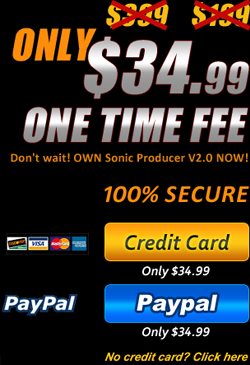 COME ON….BUY Sonic Producer V2.0 NOW!…INVEST in yourself….UNLEASH your creativity!!! ALL for a ONE TIME PAYMENT of $34.99!! WHAT are you waiting for?? Click below to get started NOW! Yes, I want to Jump Start my Music Career and Make KILLER Beats NOW!! Yes, I understand this Deal will NOT last long! Yes, I wanna Make Killer High Def Quality Beats and be taken SERIOUSLY by Professional Producers!! Thousands of High Def 44.1K Samples and Instrumentals – Updated Regularly!! – Valued at $299.99!! Instructional Videos that will show you step by step on how to make KILLER beats! – PRICELESS!! You’ll be eligible to Enter into our Monthly “Best Beat Contest” – You can win $100 EACH MONTH!!! Online Access to our Exclusive Member’s Area Jam Packed with information and Tutorials - Updated regularly! – PRICELESS!! Exclusive and FULL Lifetime Rights to ALL the Beats you make! – Valued at $79.99!! 24/7 Dedicated Customer Support! Try getting THIS from other Companies! We GUARaNTEE your SATISFACTION!!! Online Storage of all your Music and Project files! – Others charge for this but we give it to you for FREE!! You get ALL the above for only a ONE-TIME Payment of $34.99!! You BETTER HURRY! !